Last 24 September, Manila Water Co. Inc. officially filed a dispute notice before the International Chamber of Commerce (ICC) questioning the decision of the Metropolitan Waterworks and Sewerage System (MWSS) – Regulatory Office (RO) to reduce water rates. Maynilad Water Services Inc., meanwhile, will also file soon its own dispute notice that shall set off arbitration proceedings. What does this mean and what are the implications? One is that aside from paying the costs of arbitration, consumers may have to wait as much as three months (90 days) or possibly even longer to enjoy the lower water rates ordered by regulators. That, of course, optimistically assumes that the lower rates will be implemented at all. There is the possibility that the lower rates could even be reversed after arbitration. Another is that even when the lower rates are finally upheld, there is no guarantee that the money amassed by the water firms during the delay in its implementation and charging more than what they should have will still be returned to the consumers. The new rates are supposed to have taken effect beginning January 1, 2013 but there is still no mechanism for how to treat the overcharging at current higher rates by water firms since the start of the year. Consider further that arbitration of a Rate Rebasing dispute should be decided by not later than September 30 of the year in which the dispute is referred to the panel per the Concession Agreements (CA) between the private concessionaires and the MWSS. A decision in so short a time is unlikely to happen though. 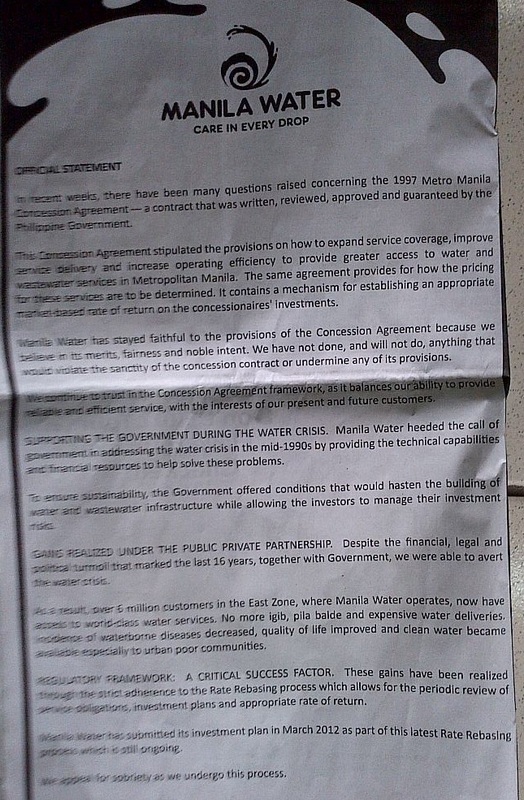 Already greatly exposed as being contrary to public interest, the privatization of Metro Manila’s water system is further being bared as exceedingly anti-people with the concessionaires’ push for arbitration. It also belies claims that privatization can benefit the public if only strict regulation is applied. In contrast, the current controversy shows that there can be no effective regulation under privatization. In the case of MWSS, the privatization contract or CA was designed to undermine government regulation as decisions are ultimately made by an Appeals Panel where the concessionaire and a representative of foreign business interests have a say. Arbitration is a dispute resolution mechanism provided under Section 12.2 of the CA. It is the last resort for concessionaires and the MWSS to settle disagreements, which could no longer be resolved through negotiation, on the interpretation and implementation of the CA. Arbitration proceedings under the CA are in accordance with the United Nations (UN) Commission on International Trade Law. An Appeals Panel handles the arbitration proceedings. According to Section 12.3 of the CA, its members include one representative each designated by the concessionaire and the MWSS-RO. A third member acts as the Chairman of the Appeals Panel and his or her appointment depends on the nature of the dispute. For major disputes such as the ongoing controversy arising from the Rate Rebasing exercise, the President of the ICC will appoint the Chairman. For minor disputes, the representative of the concessionaire and the RO in the Appeals Panel will designate the Chairman. Foreigners can be appointed as members of the Appeals Panel, including as Chairman. Among those being eyed to represent the RO in the Appeals Panel are former Supreme Court (SC) Chief Justice Reynato Puno, former SC Associate Justice Jose Vitug, and University of the Philippines (UP) College of Law Dean Danilo Concepcion. 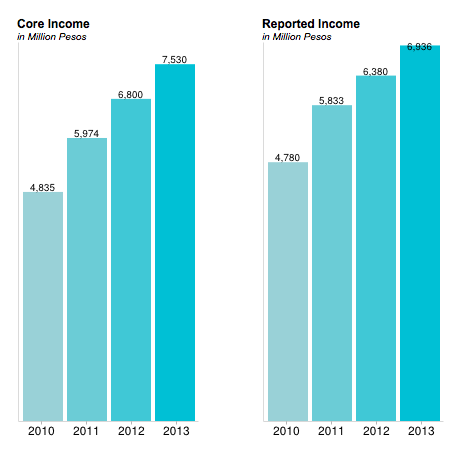 But the RO representative is easily outnumbered by the two representatives from the private sector, i.e. the concessionaire and the Chairman appointed by the ICC. Being from the business sector, the ICC representative could be presumed to be more partial to the interest of the concessionaires than of the public. Decisions by the Appeals Panel need not be through consensus but by a simple majority vote. Moreover, consumers are not represented in the Appeals Panel. They also do not have access to the proceedings which are done behind closed doors. Also, under Section 12.5 of the CA, government regulators and the concessionaires agreed to waive their right to appeal the decision of the Appeals Panel through any court, judicial or regulatory body. This illustrates how, under MWSS privatization, government has abdicated its sovereign power to regulate and set policies to protect the public interest. To recall, the RO denied the rate hike applications of Maynilad (Php8.58 per cubic meter) and Manila Water (Php5.83 per cu. m.). Instead, the regulators ordered the concessionaires to reduce their basic charge by Php0.29 (Maynilad) to Php1.45 (Manila Water) per cu. m. every year until 2017. The concessionaires’ rate hike proposals and the subsequent RO decision form part of Rate Rebasing. It is an exercise to determine water rates that will allow the concessionaires to recover their expenses and assures them of a profit rate. Rate Rebasing is done every five years throughout the 40-year lifespan of the CA. While still falling short of correcting and reversing the 16 years of abuse and oppression of consumers under MWSS privatization, the RO’s decision is still a welcome development and would not have been possible without strong public pressure. 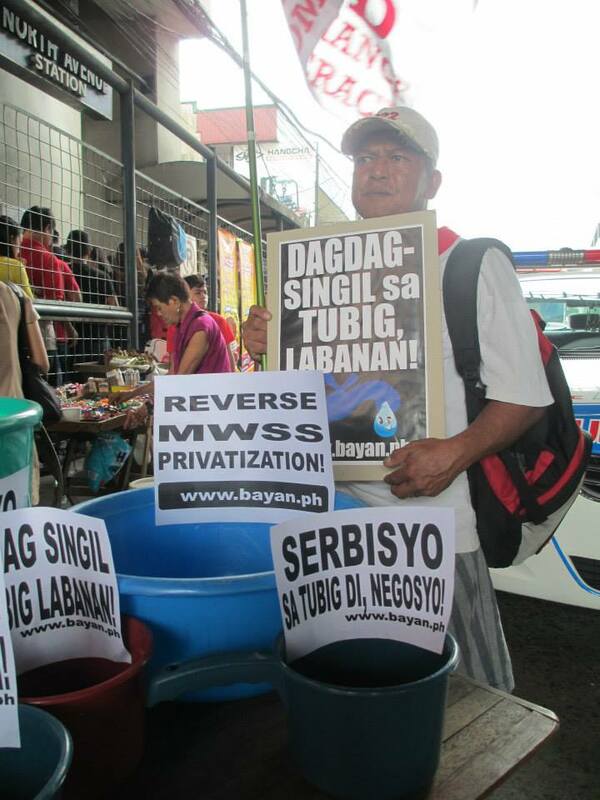 It affirmed many of the issues long being raised by anti-MWSS privatization advocates. Aside from the highly controversial income taxes (additional data and discussion here), the RO resolution also covered other questionable items being charged to consumers such as the cost of unimplemented projects, donations and advertising, and bloated costs of projects, among others. On top of these disallowed items, the RO also ordered the concessionaires to stop charging the Php1 per cu. m. Currency Exchange Rate Adjustment (CERA). Thus, the immediate impact of the RO resolution on water bills by October should be a reduction of Php1.29 per cu. 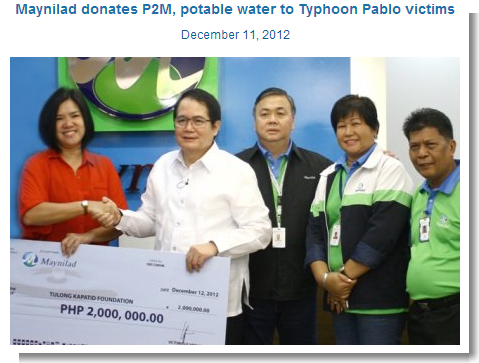 m. for Maynilad customers and Php2.45 for Manila Water’s. But such rate cuts will only become effective if the RO resolutions are not derailed by the arbitration proceedings. The concessionaires argue that arbitration means that the lower rates will not be implemented yet. And worse, it may even be reversed in case the Appeals Panel decides in favor of Maynilad and Manila Water. In a paid ad (see image below), Maynilad cited Section 7.1 of the CA. 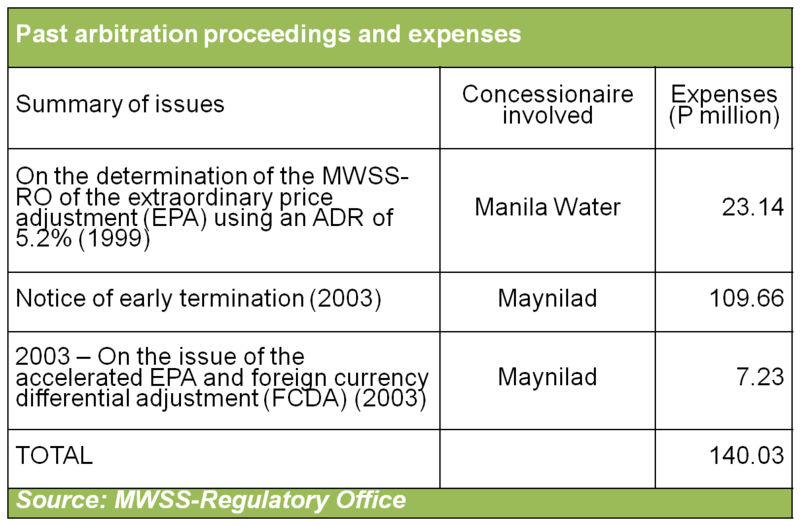 This section pertains to MWSS’s obligation to “cooperate with the concessionaire” on, among others, the implementation of changes to standard rates as instructed by the RO or by the Appeals Panel. According to Maynilad, the said provision means that the Appeals Panel will have the final say on the new rate in case the RO-determined rate is brought to arbitration. Thus, current rates will continue to apply until the Appeals Panel has made a decision. Regulators are questioning such interpretation of the CA. But if the concessionaires were right, consumers will continue to pay water bills bloated by the income taxes of and other onerous charges imposed by the water firms. Section 12.4 (vi) of the CA says that unless stated otherwise the Appeals Panel has 90 days to make a decision from receipt of a dispute notice. But it can also opt to extend the proceedings if mutually agreed by the disputing parties although a decision should be made not later than September 30 of the year in which the rebasing dispute is referred to. On top of all these is the issue of arbitration costs which under Section 12.6 of the CA shall be all shouldered by the public sector – i.e. government through the MWSS and the consumers through the pass-on charges that can be imposed by the concessionaires. Arbitration costs include the fees and expenses of panel members and legal, economic or technical consultants retained by the Appeals Panel. In its 16-year history, arbitration proceedings have been conducted thrice with the total cost reaching P140.04 million. Two things stood out in the State of the Nation Address (Sona) that reaffirmed the big business and neoliberal bias of President Benigno Aquino III. First, which stood out because of its conspicuous absence in the Sona, is the issue of passed on income taxes and other expenses by Manila Water and Maynilad. Second is the all-out push by Aquino to hike the fares in LRT and MRT, which is tied to the regime’s public-private partnership (PPP) or privatization program. Incidentally, both involve two influential business interests that are widely seen to have close ties with the Aquino administration – the Ayala family and the group of Manny V. Pangilinan (MVP). The Ayalas control Manila Water while the MVP group controls Maynilad. These big business interests have also set up the Light Rail Manila Consortium, one of the bidders in the scheduled privatization of LRT 1 this month. Aquino’s evasion of the water income tax issue underscores the double standards of his daang matuwid and anti-corruption rhetoric, which as usual was again prominent in his speech. In his Sona, the President praised the Metropolitan Waterworks and Sewerage System (MWSS) for instituting reforms in the agency. 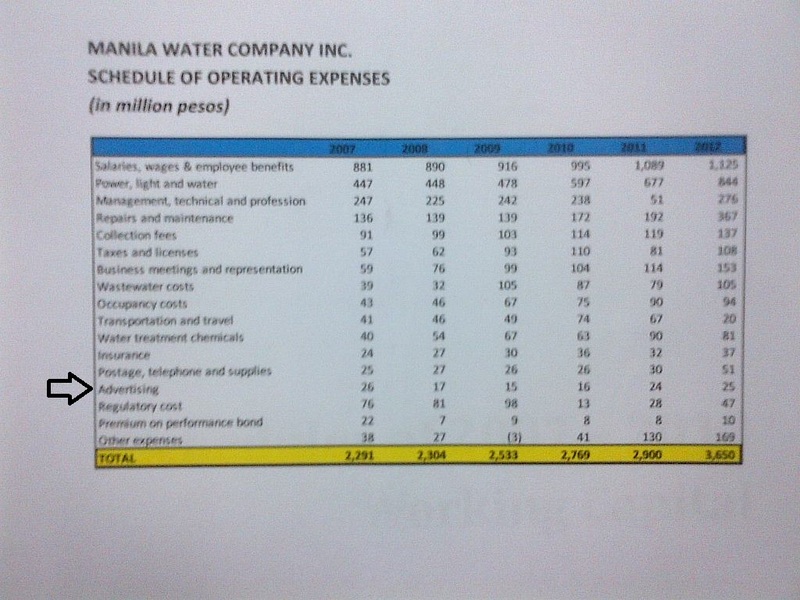 It will be recalled that in his first Sona, Aquino hit the water agency for hefty bonuses enjoyed by its officials. Such anomaly has already been addressed, said Aquino, citing the almost P2-billion income of MWSS last year from a P34-million deficit in 2010. He also praised Sec. Rogelio Singson, who used to be president and CEO of Maynilad, for addressing corruption in the Department of Public Works and Highways (DPWH). But while extolling the MWSS and Singson for the supposed good governance reforms in their agencies, Aquino did not mention the onerous Concession Agreement that involved MWSS and Singson and made consumers pay for the income taxes, corporate donations, advertisements and other expenses of Maynilad and Manila Water. More importantly, the President said nothing on what he intends to do with the said anomalous PPP contract. Did Sec. Rene Almendras, who as former Manila Water president was also involved in implementing the controversial Concession Agreement had a hand in determining the content of the Sona in his capacity as Secretary to the Cabinet? The presence of former top executives of the Ayalas and MVP in key Cabinet positions and the PPP as centerpiece economic program of the Aquino administration explain the deliberate silence of the President on the controversy hounding Manila Water and Maynilad. While the MWSS-Regulatory Office is disputing the private water concessionaires on the issue of income taxes and other pass-on charges, it is still Malacañang that will be decisive ultimately. 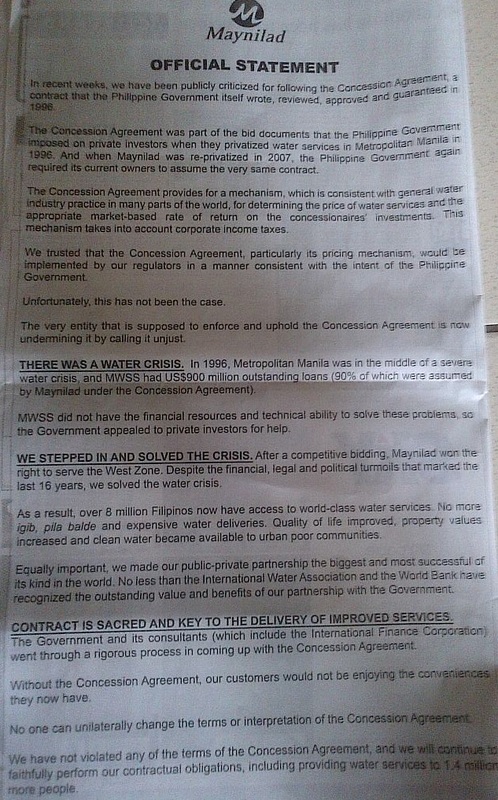 Through their paid ads weeks before the Sona, Manila Water and Maynilad have warned not only the regulators but Malacañang itself on the supposed sanctity of privatization contracts. 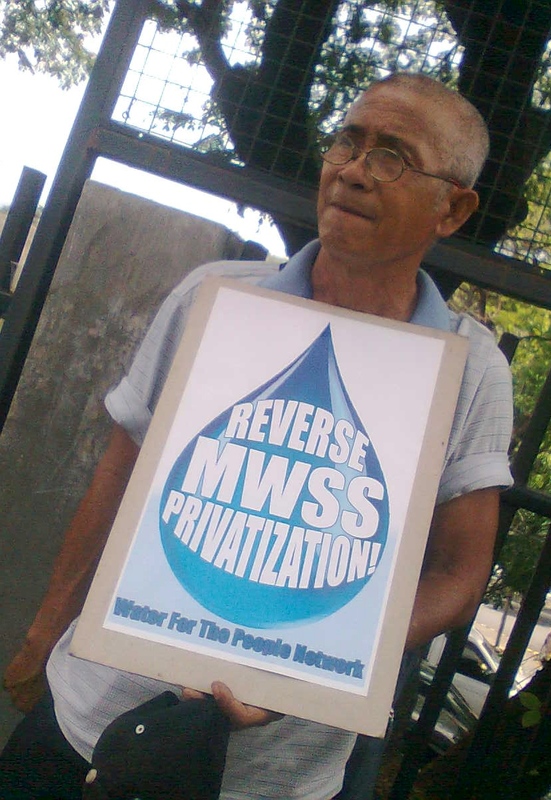 They know that the privatization of MWSS is regarded as the barometer of PPP in the Philippines and a decision detrimental to the water concessionaires (and favorable to the consumers) will seriously undermine the PPP initiatives of Aquino. Aquino’s refusal to issue a categorical statement backing the widespread public clamor against the questionable charges of Manila Water and Maynilad in his Sona speaks volumes about where the President’s loyalty lies. Malacañang apparently does not want to upset the Ayalas and the MVP group which have been among the most aggressive in securing PPP contracts from government. While Aquino was silent on the abusive pricing of Manila Water and Maynilad and the oppressiveness of the Concession Agreement, the President was clear in his relentless push to increase the fares in LRT and MRT. 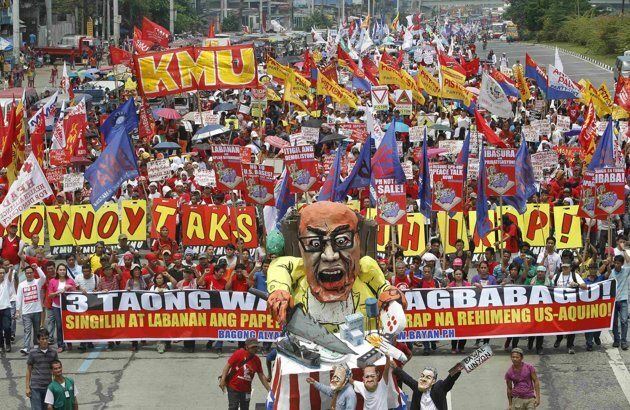 Like the MWSS, the LRT and MRT fare hike was also among the controversial issues raised by Aquino in his first Sona. Reiterating his position in 2010, Aquino claimed that increasing the LRT and MRT fares to approximate air conditioned bus fares is justified. He raised the argument repeatedly pointed out by Department of Transportation and Communications (DOTC) officials – that government is supposedly subsidizing P25 (LRT) to P45 (MRT). Freeing up such subsidies means more funds for social services that will benefit the entire country and not only the Metro Manila commuters, argued the President. The DOTC has earlier announced that it will implement a P10-fare hike to be implemented in two tranches. But it has been pointed out that the supposed subsidies, in the case of MRT, actually go to service debts arising from the guaranteed profits and sovereign guarantees given by government to the train system’s former private operators. 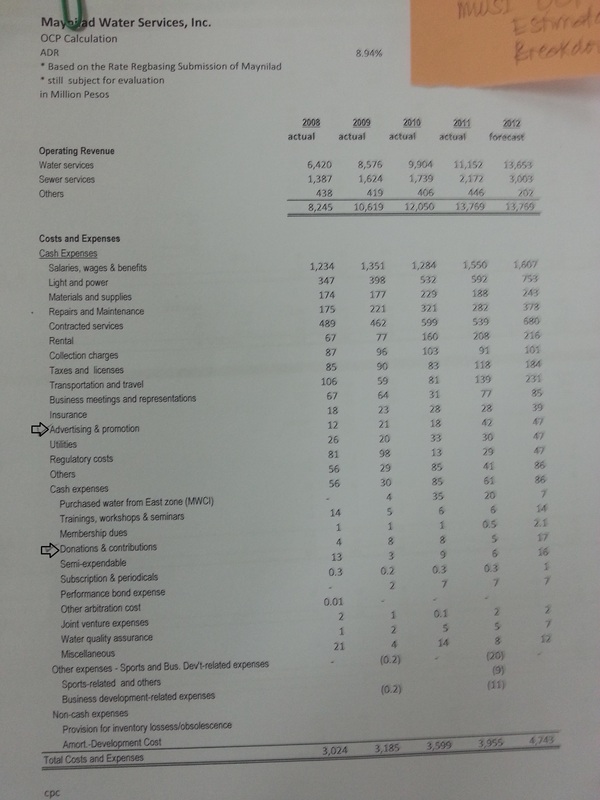 LRT lines, on the other hand, are generating enough revenues to cover its maintenance and operation, although debts also bloat the total costs. Debts, however, should not be passed on to commuters as mass transportation is a public investment that generates economic and social gains. Aquino and his transportation officials are not saying it, but the real reason behind the persistent drive to raise LRT and MRT fares is the government’s grand PPP program for Metro Manila’s light rail system. It will start with the P60.63-billion LRT 1 extension and privatization, the biggest PPP project so far of the administration. Increasing the fares would demonstrate government’s resolve and ability to regularly adjust fares, despite its unpopularity, to make the system profitable as planned in the draft 35-year Concession Agreement for LRT 1. 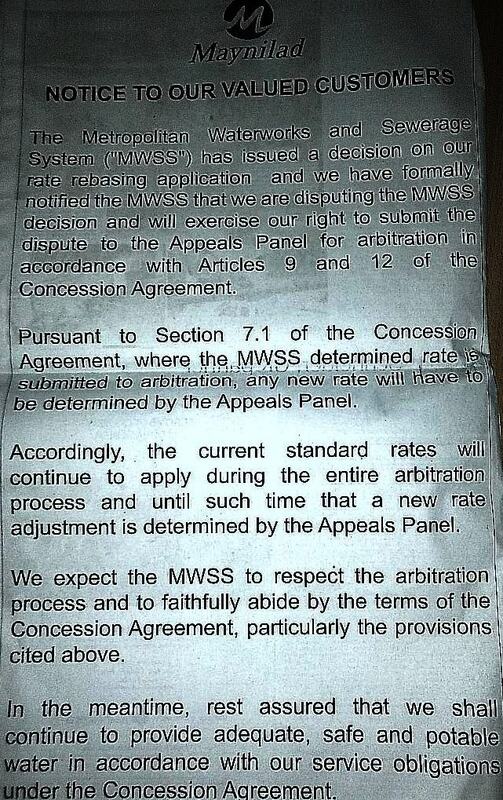 The said LRT 1 Concession Agreement is as onerous as the MWSS Concession Agreement. Its latest draft (as of June 27) still contains the so-called regulatory risk guarantee. Section 20.4.a of the draft agreement allows the private LRT 1 operator to secure “deficit payment” from government (i.e., taxpayers) when the approved fare is lower than the “notional fare”. The notional fare is a pre-determined fare level set out in the Concession Agreement that will ensure the commercial viability of LRT 1 and the profits of its private operator. This effectively deregulates the setting of fares and renders meaningless any intervention from Congress, the courts and other regulatory agencies. Aside from the Ayala-MVP group, other LRT 1 bidders are presidential Uncle Danding Cojuangco’s SMC Infra Resources Inc.; the Consunjis’ DMCI Holdings Inc., which also lists Japanese giant Marubeni Corp. as one of its partners; and the MTD Samsung Consortium of Malaysia and South Korea.